Jimmy Choo is a high-end British fashion brand that specializes in shoes, handbags, accessories, and fragrances. While they do have a variety of different shoe styles, the brand is most well known for their elegant and timeless high heels, which are often worn by celebrities. With Big Apple Buddy’s personal shopping service, you can now buy direct from the USA Jimmy Choo online store anytime, anywhere. The Jimmy Choo Luc 100 pointy toe pumps are made entirely of leather and are the perfect accessory for any formal outfit. Since these pumps have a timeless and simple look to them, you can be sure that you will get plenty of wear over them throughout the years and special occasions. The shoe comes with a delicate ankle strap, which both adds some character and extra support, so you don’t have to worry about falling out of your heels all night long. This heel height falls just under 4 inches, which is the perfect height for heel-lovers who are looking for something to add a little extra flair to a special outfit. Jimmy Choo also has a variety of accessories for both men and women. 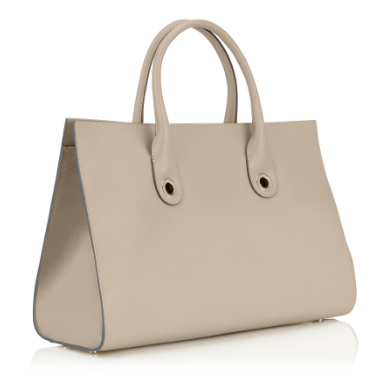 The Riley Marble Smooth Leather and Suede Tote Bag can be worn either on the shoulder, on the arm, or hand-held. It is comfortable to carry and has easy internal access, so it makes for a great everyday or on-the-go bag. With one large internal pocket and a roomy side pocket, there is plenty of room inside this tote for all your everyday essentials plus a little extra. It’s available in black, marble, or navy, so choose whichever color you like best! There are plenty of options for men as well at the USA Jimmy Choo online store. Whether you’re looking for a more casual or a dress shoe, you’ll be able to find the right fit for you at Jimmy Choo. 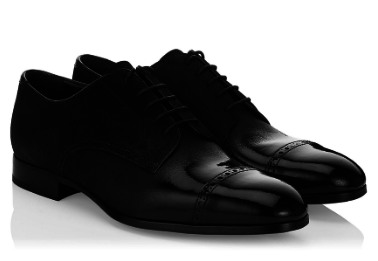 The Prescott Black Patent and Suede Dégradé Brogue is a great option for a more formal occasion. These elegant lace ups would go great with a slim fit suit, and the black patent and suede finish will add a contemporary and stylish twist to your look. If you’re looking for a formal shoe that isn’t just the standard plain black option, look no further! 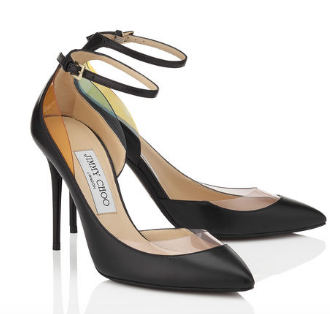 Unfortunately, the USA Jimmy Choo online store does not currently offer international shipping. However, Big Apple Buddy, your personal shopper, can help you buy products direct from the official USA Jimmy Choo online store and ship them to your doorstep, no matter where you are in the world. We offer international shipping to over 190 countries including Australia, Austria, Bahrain, Belgium, Bosnia & Herzegovnia, Brazil, Brunei, Canada, China, Croatia, Cyprus, Denmark, Estonia, Finland, France, Germany, Hong Kong, Hungary, India, Indonesia, Ireland, Israel, Italy, Japan, Kenya, Kuwait, Lithuania, Macau, Malaysia, Maldives, Mexico, Namibia, Netherlands, New Zealand, Norway, Oman, Pakistan, Philippines, Portugal, Saudi Arabia, Scotland, Serbia, Singapore, Slovenia, South Africa, South Korea, Spain, Sri Lanka, Sweden, Switzerland, Taiwan, Tanzania, Thailand, UAE, UK and Ukraine. If you would like to buy from the USA Jimmy Choo online store, simply let us know which items you would like to order (by filling out the form on the right) and we’ll get back to you with a free international shipping quote within 24 hours!